Bon Appetit magazine just released a list of The Best New Restaurants in America in 2011 and Robbinsdale's Travail Kitchen ended up at n0 4. According to the magazine " They've got the best house-made charcuterie, crazy-low prices (a ten-course tasting menu for two for $60!? ), and smart, ambitious food that applies elements of molecular gastronomy to the Midwestern traditions of pickling, preserving, and lots of meat. 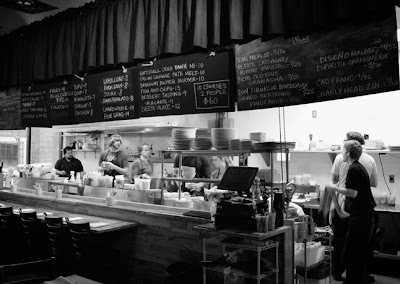 It's both prepared and served by a motley crew of chefs who cook like a band making its first album, i.e., without limits."